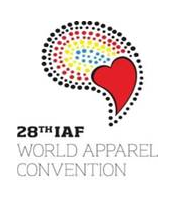 The 28th IAF World Apparel Convention will be held on September 24 – 28, 2012 in Oporto, Portugal, and will focus on the theme Fashion Business in a Changing Environment. During the Technology & Innovation Session, speakers will take a closer look at innovation in digital solutions for fashion business and new ways of attracting consumers. They will speak about web sales and mobile shopping, and draw from their own experience in e-commerce models. Always reaching the right consumer with the right product means mastering the art of managing a worldwide supply chain as if all the players were sitting in the same room. This session will focus on how this can be achieved in a changing environment. The moderator of this session, Mr. Braz Costa (Portugal), is the Director General of CITEVE as well as the President of Textranet. Registration, which can be done on the IAF website, has officially opened. All interested delegates are invited to consult the website for information regarding theme, program and registration.